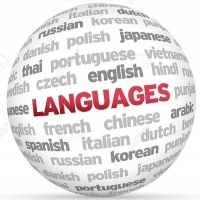 The Self-Access Centre for Language Learning is a facility that specialises in the provision of academic and language programmes designed both for international students and the wider University community. It is located on the 2nd floor of the HumSS building in room 230. The centre includes a wide range of materials for students learning English and foreign languages including books, DVDs and other media; some of these materials can be borrowed for a short period. There are computers available for the students to use, some with useful online language materials, and a printer located within the centre. The centre can be used by individual students as well as (upon request) classses and organised groups.